Out of all the necessities for your home, your appliances are some of the most expensive items to purchase. Regardless if you are buying the cheapest models or the top of the line, appliances help us be able to cook, store our food, clean and all around make our lives easier, daily. Saving money when you buy home appliances is always a goal for all home owners who want to get the best deal, but also want quality in their appliance investments. Here are tips to save money when buying appliances for your home. -Look for discontinued appliances: Many manufacturers and appliance stores will offer discounts on discontinued brands, models and appliance lines. For extra value visit appliance stores that have floor models or offer clearance areas on their online appliance stores. You would be surprised the savings that are offered for discontinued models. Ensure that full warranties and manufacturing service options will still be available before purchasing discontinued models. -Shop at outlet stores: Similarly to discontinued appliances, outlet stores offer models that are no longer in production, as well as scratch and dent selections, or appliances that home owners have returned but are in good working order. Consider looking in your local area for appliance store brands that offer outlet stores. They usually will be located away from mainstream shopping centers, and they usually will still hold up to their warranties and servicing options on the appliances they sell. Outlet stores are a good option for house renters! -Shop small local appliance stores: Depending on your locality, small appliance stores that are owned by a family or a small organization tend to have better prices than big appliance stores. 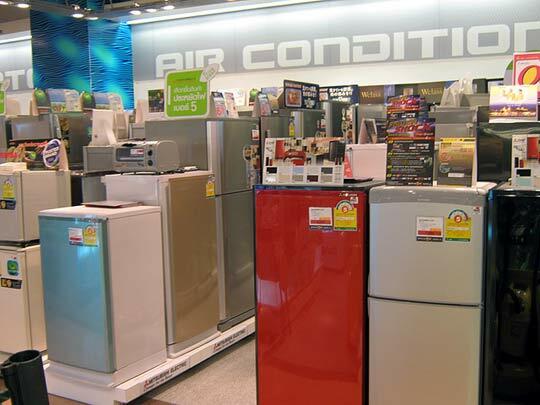 Many small appliance stores will receive discounts from the manufacturer to sell older models and should be considered when trying to save money on buying home appliances. You may have to visit several in your area to find exactly what you’re looking for, but the money you will save can be big. -Shop around the holidays: For many countries, the holidays are the perfect time for home improvement stores to put appliances on sale. In the United States – Presidents Day, Fourth of July, Memorial Day and Labor Day are big weekends for appliance shopping. Many will offer specials for buying the appliance during the holiday, and may offer advanced incentives if paying with store credit or credit cards. Around the holidays, look in your newspapers and online home improvement store advertisements to see what deals your local store may be having. Also check with department stores located in shopping centers or malls. 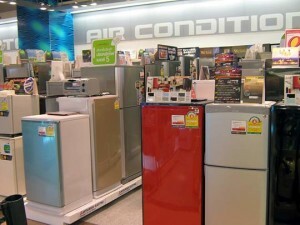 They too, may offer holiday appliance deals to compete with home improvement stores to vie for your business. Saving money on home appliances can be easier than you thought with the help of these useful tips. From discontinued product lines to catching great deals around the holidays, there is always a way to save green for your pocket! Before you go and buy a high priced appliance, check the internet, browse your local newspaper, or ask your coworker if they know of any deals on home appliances. You just might save money, without even trying!